From precious metals to probiotics and pumpkin, this is the year of the creative luxury treatment. This season’s treatments will feature a blend of elegant, high-tech ingredients with high-end style like the trending metallic inspiration and rich earth tones of autumn. Autumn is the time of year where esthetic services are needed the most. Summer sun starts to fade away while summer damage begins to show up. 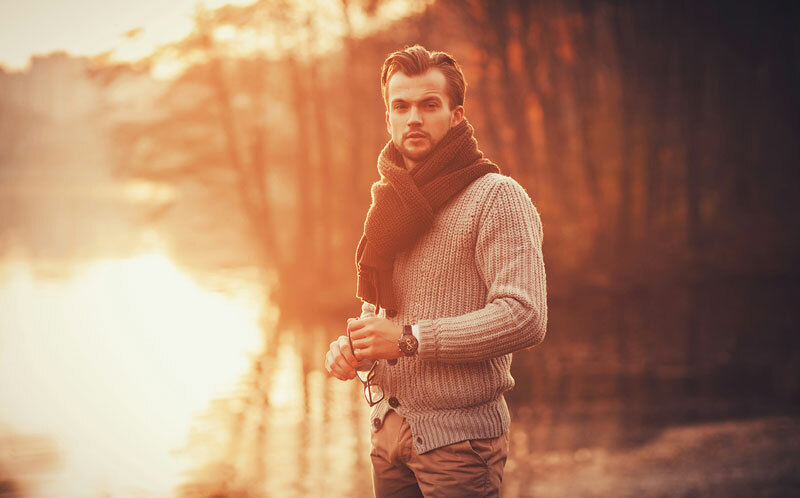 This seasonal skin transition is the perfect time to get your clients excited about their initial fall exfoliation. Offering a renewed service menu and imaginative spa experience is important to stand out and maximize your revenue. Keep in mind, no downtime is in high demand! Harsh treatments with long recovery times are out; refreshed and healthy skin is in. You can easily offer effective treatments while capturing the elegance of autumn with popular ingredients, such as pumpkin and pomegranate. These classic ingredients can be boosted with trendy new technology from topical probiotics to cutting-edge peptide breakthroughs. By combining these elements, you create a luxury exfoliating experience fusing beautiful results with no downtime and glowing skin. Lira Clinical’s Pumpkin Plus Definer Peel was formulated with pumpkin enzymes, AHA therapy, brightening retinol, tropical mango pulp, antioxidant pomegranate and healing edelweiss plant stem cells limiting inflammation for immediate results. 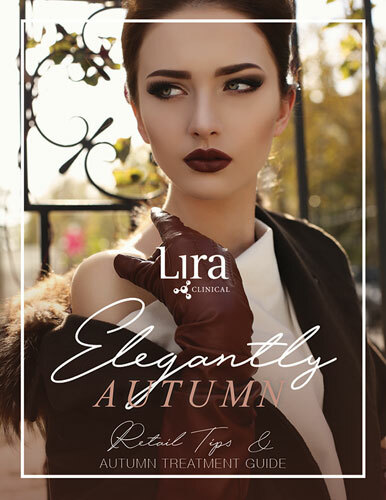 Lira Clinical has developed the Elegantly Autumn Treatment and Retail Guide, as a complete resource for marketing, menu inspiration, product recommendations and creative treatments with clinical results. These inspirational skin experiences excite the senses while providing both facial and body options. Clients are going to expect illumination on another level, especially with this season’s upcoming glam makeup trends. Bold lips and brows paired with flawless skin will be the look of winter. This season’s color palette will be heavily accented with metallic color cosmetics and warm shades. Inspire skin confidence by incorporating illuminating esthetic trends. Lira Clinical offers an array of products and treatments infused with brightening agents along with precious gold, silver, copper and other vital minerals. Not only are these minerals trendy but beneficial in treatment with anti-inflammatory, healing and skin-soothing benefits. Mineral therapy has been formulated into Lira Clinical’s Smart Peel System to control inflammation, bettering skin results you can see and feel. TIP: Rose gold is all the rage, Lira Clinical has developed their rose gold facial by pairing products infused with timeless rose and precious gold. This facial features Lira Clinical’s award winning MYSTIQ iLuminating Beauty Oil along with their boosted hyaluronic serum, BIO Hydra Infusion. Lira Clinical’s holiday line-up will include gold- and silver-infused products like PRO C4 Retinol Serum, award-winning PRO Firming Serum and MYSTIQ iLuminating Polisher. Look out for Lira Clinical’s Holiday Retail and Treatment Guide by subscribing to our newsletter and social media.